Happy Birthday! Wishing you a great new year of lots of fun and sweet fashion! I'm excited for you! Happy Happy! Joy Joy! Thanks so much for being here. Wishing you lots of fun! Happy Birthday! Love the quote. All the best in fashion and what goes with it. aaaww HAPPY BDAY! and many more! Happy blog birthday!! Here's to many more years of Cafe Fashionista! Happy Anniversary/Birthday!!!! Here's to three more!!! Awww happy birthday!! Three years...wow! happy birthday cafe fashionista!!! woot!! Congratulations on the Big "3" love!! Hope to continue reading Cafe Fashionista for years and years to come! Woo-hoo, happy birthday to one of my favorite blogs! Happy 3rd Birthday ! Keep up the great work ! Happy Happy Birthday (blog birthday) Its been another great year. Oh my goodness! Three years? Have we been friends that long? You were one of my first- so thank you! wooo congrats!! Now a new follower! Happy 3rd B-day Erika! May you have many many more! Congrats, CF! I hope you have the happiest of happy birthdays! I think I've been along for most of the ride, and I've enjoyed every one of your posts! Happy birthday!! Congrats on such a great blog! Happy Blogiversary my dear! Hope there's many more years of Cafe Fashionista to come. CF is only a few weeks older than HiFashion! Happy blog birthday and to many more great years! Congratulations! That photo is too lovely. 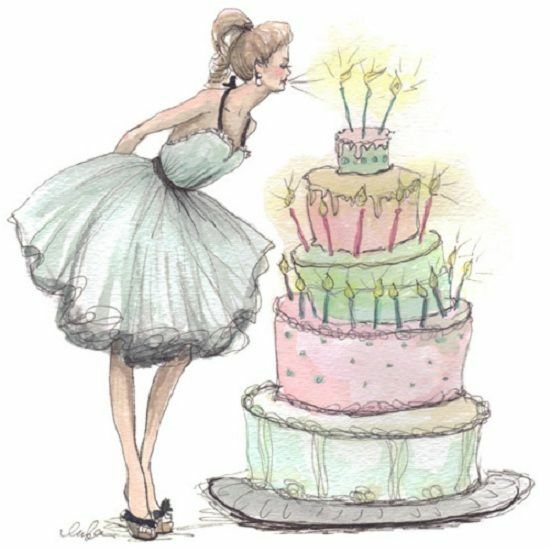 HAPPY 3rd BIRTHDAY CAFÈ FASHIONISTA!!! and many many more!! congratulations to Erika and Cafe Fash for another great year of fashion blogging. happy 3rd birthday! of course you pick the cutest picture to go along with it, haha. sooo cute! Happy Birthday! Happy Birthday! Can't hardly wait to see whats in store next for you and your blog! I'm so happy for you and the blog! Happy blogiversary, doll! This is so exciting -- you should be so proud! Thanks for being a constant inspiration! sorry I am late, but happy birthday to Cafe Fashionista!! !